A workshop gathering lecturers from three campuses of the University of Development studies (UDS), the University of Mines and Technology (UMaT) and the University of Energy and Natural Resources (UENR) was held at Alliance française Accra. It focused on how to implement and develop an efficient French syllabus within the specific context of these universities. Discussions took into consideration the needs of the students in terms of language skills, the objectives and organization of the syllabus that should be written-up accordingly, the number of contact hours and teachers needed to achieve great results, how to assess students” proficiency as well as the constraints of each university. The seminar benefited from the expertise of 2 international scholars: Prof. Catherine Carras (Grenoble University, Specialist in French on Specific Objectives) and Prof. Samir Marzouki (Former Education Director at International Organization of la Francophonie, former Counselor for the Education Minister in Tunisia, and Professor of French at Manouba University).They were invited through a program called ”Dialogue d”expertise” (Dialogue of experts). The closing ceremony, including feedback on the workshop and recommendations by the experts, took place on November 4th at Urbano Hotel, Accra, in the presence of H.E François Pujolas, Ambassador of France to Ghana and numerous distinguished guests. In his opening speech, the Ambassador of France to Ghana said ”he believes this seminar is dedicated to a sector of the cooperation which is important not only for the bilateral relations but also for Ghana’s economic integration with all neighboring francophone countries, as well as the other member countries of ECOWAS.” He added that ”the learning of French in this country is crucial since it widely improves job opportunities for Ghanaians”. He also referred to the financing agreement that was signed on June 24 with Hon. 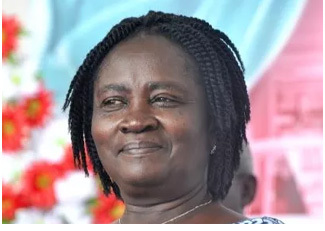 Minister of Education, Nanaa Jane Opoku-Agyemang, thus providing a 700000 euros grant to consolidate and improve the quality of the teaching and learning of French in three key areas: the pre-tertiary education, focusing on the Senior High School level, the scientific and technical universities and the public sector. The Deputy Head of Alliance Française Accra recommended these internationally recognized certificates (DELF – Diplôme d”Etudes de Langue Française or TCF – Test de Connaissance du Français, more or less equivalent to TOEIC or IELTS) as a good complement to university degrees. Also, the Deputy Heads of the Economic mission at the French Embassy and at the France-Ghana Chamber of Commerce gave a joint allocution on the importance of speaking French for those who want to have a career within French or wider Francophone companies and also on internship opportunities. The Cooperation Attachée for French at the French Embassy concluded the seminar expressing her thanks and eagerness to work with such dedicated universities, that were willing to take concrete actions to make the teaching of French more efficient in their institutions. Distributed by APO on behalf of Embassy of France to Ghana.